9000 Series offers heavy-duty and lighter weight stands in both straight and straight/boom configurations. 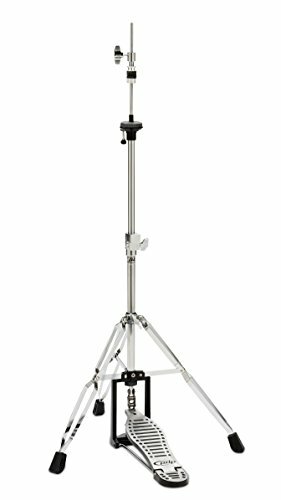 DW designers, drummers and techs around the world insist on memory locks on the tube joints and the tripod leg assembly, plastic tube insulators, toothless tilters, large reset handles, secondary tilter locks, cymbal space adjusters and heavy gauge tubing. DW 9000 Series Stands deliver all of this and more. 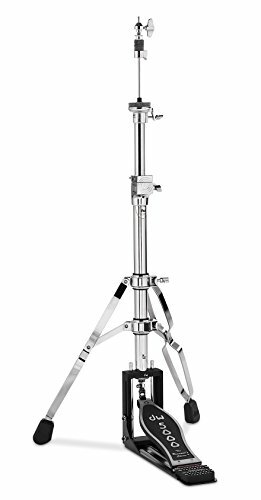 The DW 9500TB 2-Leg Hi-Hat Stand uses a patented double eccentric cam that increases the sensitivity of the footboard in relation to cymbal movement, resulting in a unique, incredibly fast and responsive feel. The lateral cymbal seat is a first in hi-hat design, allowing instant access for adjusting the bottom cymbal angle, a small detail that makes a big difference. The uni-body folding footboard stays attached to the base casting when secured in the folded position. 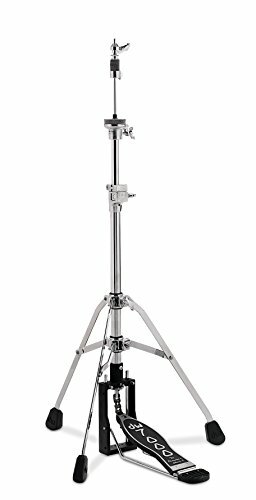 Incorporates a low profile, aluminum leg, flush-base design, and features offset direct pull action, spring adjustment, integrated memory lock, built-in spurs, superior-quality American-made felts, and standard locking hi-hat clutch. 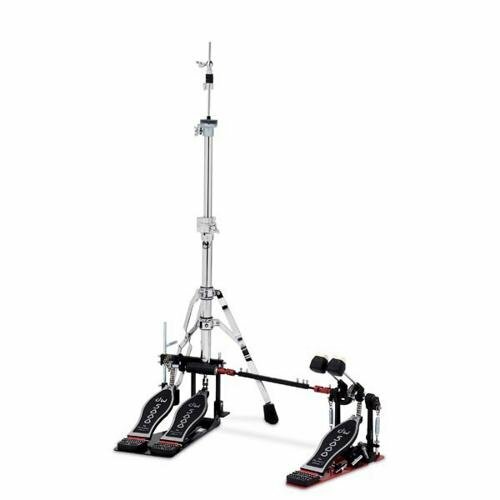 The 5520-2 has a switchable double pedal option designed specifically for Latin players, these specialty hi-hats are designed to mount cowbells and jam blocks to play complex percussion patters on drum set. 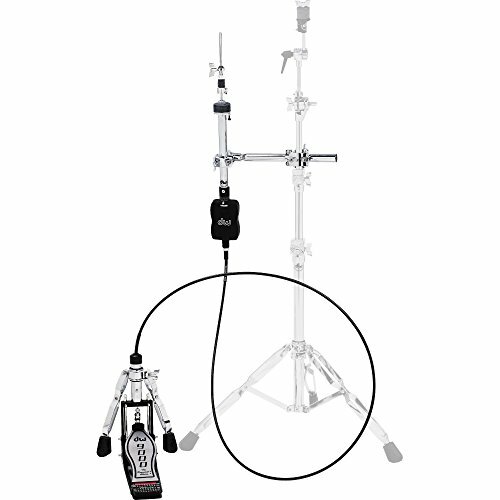 The DW 9550 Universal Remote Hi-Hat System features DW's Universal Linkage Assembly and high-tech Ball Bearing Hinge. 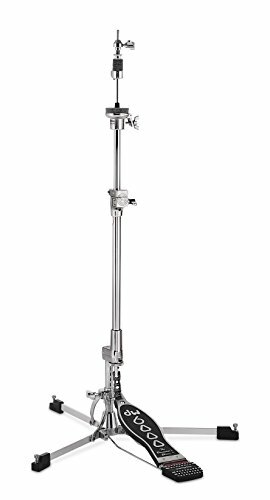 Works as a multi-position primary hi-hat or a versatile auxiliary hi-hat for secondary hat sounds and effects cymbals. The Lateral Cymbal Seat allows instant access for adjusting the bottom cymbal angle; a small detail that makes a big difference. 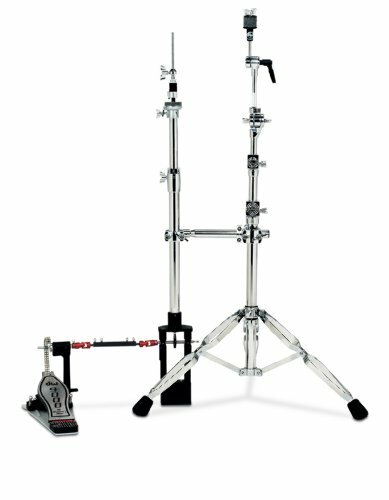 All the heavy-duty 9000 Series features are standard: heavy-gauge steel tubing, integrated vise memory lock, and lateral cymbal seat adjustment. The 9550 comes complete with auxiliary pedal, MG1 and MG2 mounting clamps, and Universal Linkage with 2 extension options. Shopping Results for "Drum Workshop Hi Hat Stand"